Grants for Nokia Visiting Professors are given to distinguished foreign professors to work in Finland, or to deserving Finnish professors working at respected foreign universities. The minimum period for the visit is two months. Visitors coming to Finland must typically participate in research work, give lectures and collaborate with Finnish companies. Please note: you may partially complete an application (save a draft) and continue with it later. The application tool will provide additional instructions for completing the application form. Nokia Foundation Board will make decisions quarterly. 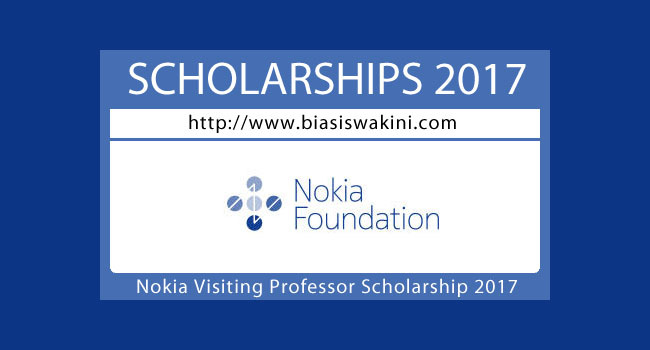 0 Komentar untuk "Nokia Visiting Professor Scholarship 2017"